Carry your fries? How 'bout carry your favorite stuff? Okay, so technically these toys aren't mobile-related, but given the fact that Yokai Watch has a brand new game coming out later this year (and a film!) 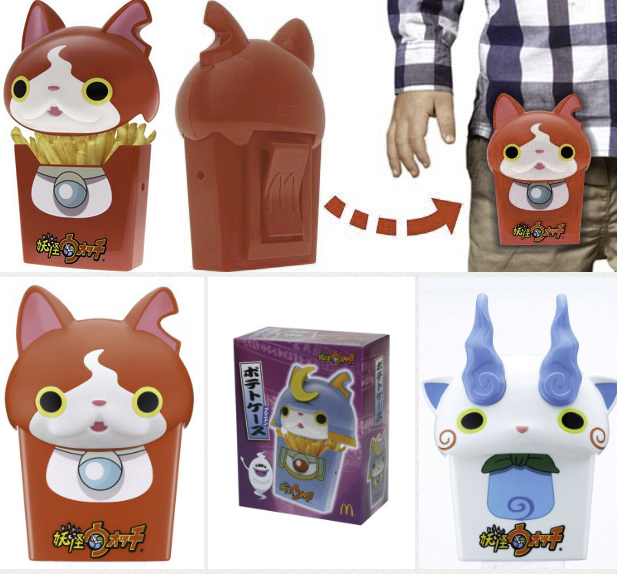 and we're finally getting the game in America, I had to show you all these Yokai Watch french fry holders. Just look at them. 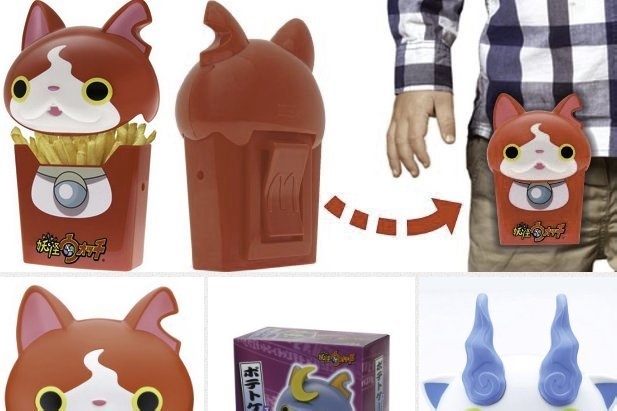 They may be meant to hold the delicious french fries you buy from McDonald's, or they can hold your stuff. Either way, they're a little useless, but they're so, so cute. Now the question is, which one do you want to purchase?